ChauffeurCaller provides a 5 star quality chauffeur driven car service worldwide. Our services can be customized for each clients need, whether you would like a meet and greet service from an airport lounge, a discrete VIP transfer or need co-ordination due to a large number of guests arriving and needing transportation during their stay ChauffeurCaller will provide you with these exclusive services. 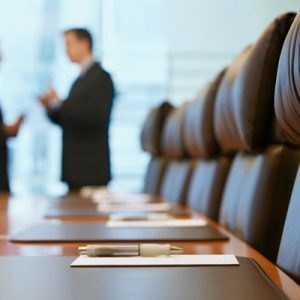 We understand that with business executives plans can change with just a moments notice and time is of the essence, contact our office or email us so we can provide you with a cost effective and high standard service for a seamless trip. We have a wide range of vehicles for executive use such as our Mercedes E-Classes which is our business class saloon service perfect for airport transfers or for transport to events, event guests, meetings or corporate roadshows. Our Business Class MPV service is our Mercedes V-Class, optimum for a large group needing transportation at the same time; its spacious environment ensures more space for luggage and for up to passengers. 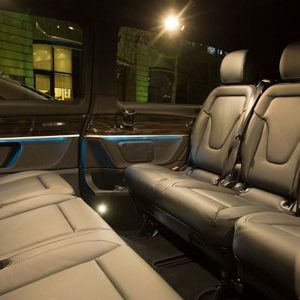 Our First Class Deluxe Saloon, which is our Mercedes S- Class, is a first choice for CEOs and celebrities needing transport around the city and so is our First Class Deluxe SUV, which is our Range Rover. Our First Class vehicles have Wi-Fi, current newspapers and fresh water available to ensure you the comfort to work or relax on the move. Client needs and requirements are our priorities so you can enjoy your journey with us with peace of mind. While you sit back and relax or conduct business on your way, we will deliver you to your destination. All of our chauffeurs will be glad to assist you in any and every way and fulfil all of your special requests with a smile. On the occasion that you need a professional chauffeur driven car hire service for your financial roadshow, let us know about your requirements and we will plan your trip so you can put the stress on us and we will take care of arrangements along with suggestions of the best options for you.